Underground utility structures are vital to protecting controls and connections. Proper installation is critical. When you choose Winona Mechanical, you know the job will be done right, adhering to exact standards and specifications. 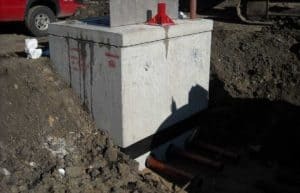 Winona Mechanical has years of experience working with precast underground utility structures and other precast structures. Contact us today.